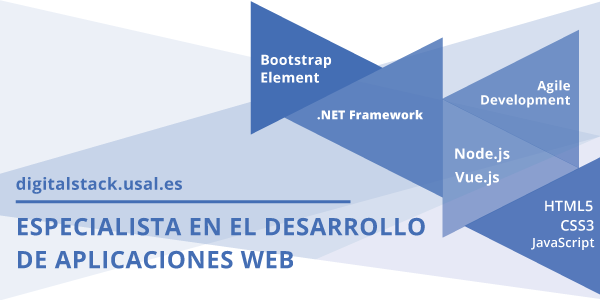 Launched by the General Foundation of the University of Salamanca in collaboration with Global Exchange, a leading foreign exchange company, Digital Stack seeks to provide training to programmers who are already familiar with web development and want to expand their knowledge on the development of applications using stacks based on JS or Microsoft.NET, as well as continuous integration and agile development methodologies. In addition to specialized work with different programming languages, the course includes 400 hours of internship in companies under a rigorous training program. The student is going to be guided through the process by a business tutor and an academic tutor, to ensure successful completion upon which the student is awarded a certificate. In addition, the internship may be combined with an External Internship as part of a Computer Engineering Degree, provided that the admission requirements are met.